The schedule for the 68th edition of the Shakespeare Festival, all’interno dell’Estate Teatrale Veronese, ha previsto anche il Giulio Cesare del regista spagnolo Àlex Rigola, an adaptation that was very surprised audiences and critics, for innovation and inventiveness with which he looked at Shakespeare's text: Giulio Cesare in the shoes of an actress, inserts of contemporary images including the face of Barak Obama before the killing of bin Laden ... In short,, all very deranging if you are kind of realist drama. 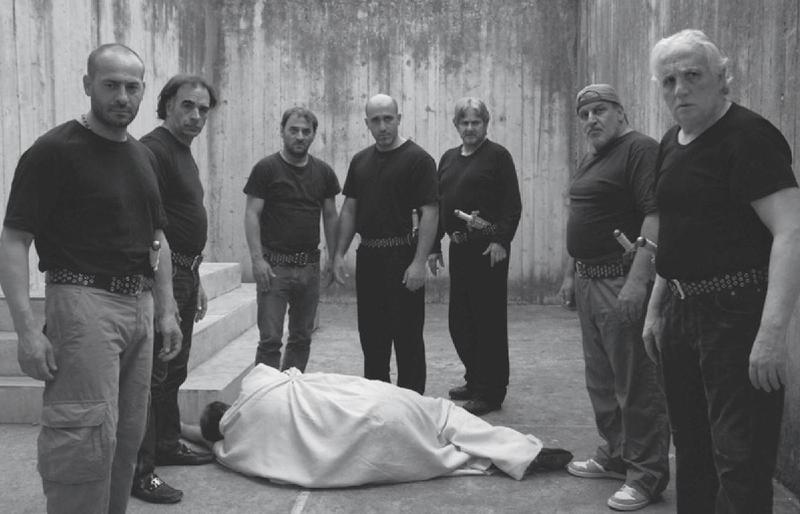 This Shakespearean text and the 400 years after the Bard's death, bring me back to mind cinema "Caesar Must Die”, masterpiece of Fratelli Paolo e Vittorio Taviani, thanks to which, in 2012, tornarono a casa da Berlino con l’Orso d’Oro in valigia. To talk about it - I'll try to talk about it a little though the film deserves a doctoral thesis - we dust off the communicating vessels, the principle according to which a liquid contained in different containers and communicating with each other reaches the same level resulting in a single equipotential surface. Forget the bonding and keep the idea of ​​liquid flowing from one container, From one shape other, and the effect of melting which is determined, since this is the feeling after 75 minutes of the film: have art, vita, fiction, theater, cinema, drama, redemption, conviction, all united and mixed within the film first, and yourself then. The film is physical, powerfully physical: He arrives there in all its scenic essentiality, and happily alienating choice of white-and-black for the scenes in which the prisoners "feel" the Shakespearean drama - that most of the film. In reality the prisoners do more than "prove" the drama. I live inside the prison, that makes theater of Shakespeare's tragedy is that the tragedy - the tragedy - experienced by individual prisoners. There is more. 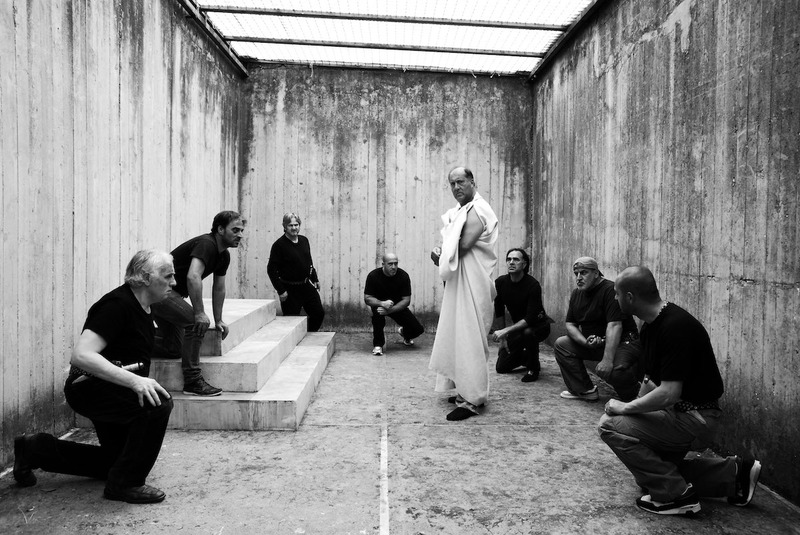 The same work of Shakespeare becomes a theater in which the vicissitudes of individual actors-prisoners find a way and space to express their feelings of guilt, their need for forgiveness. It is as if the prisoners, through fiction, esternassero their misfortune. Some of them are "men of honor" - and this echoes the honorable Romans who organized the conspiracy against Caesar by Shakespeare. Some are killers - and this is combined with the Brutus drama. All are persecuted by guilt, by imprisonment. It goes in and out constantly from life, recited, theater, cinema, truth, fiction and all within an enclosed space that contains the greatest form of institutionalized drama - the prison. communicating vessels, precisely, from which there is no escape even when you exit the movie and the room. You'll take Shakespeare, I really said it all 400 anni fa: through pen and ink slid to posterity the infinitely large and the infinitely small. And you'll take images that remain, as the narrowness of the cells, la desolazione dei cortili ― il bianco-e-nero affila la lama del quotidiano squallore che uno spazio aperto all’interno di uno spazio ermeticamente chiuso può dare ― ed espressioni che rimangono ― “guardasoffitti siamo, we prisoners "thinks an inmate at one point. And especially, You brought home a renewed attachment to this thing called freedom, that is as impalpable when there, As overwhelming as missing. 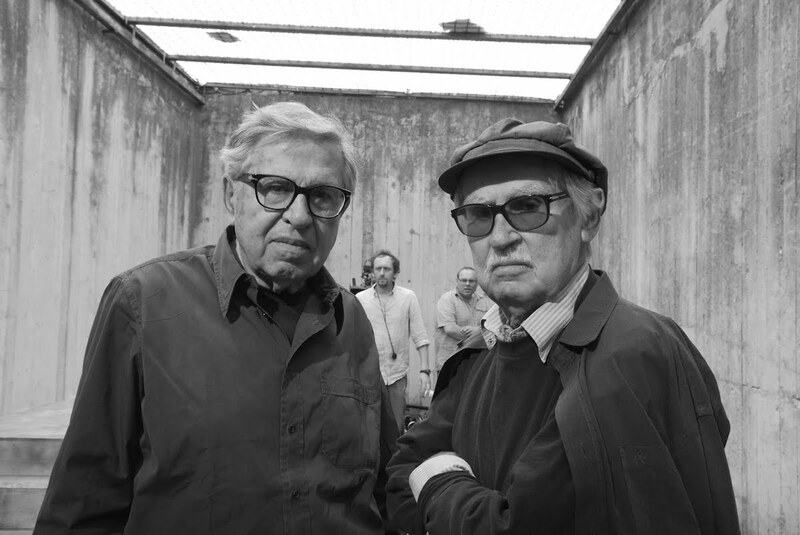 Golden Bear to withdraw the Brothers Taviani declared: "We honestly thought we would never be able to live at our age so addictive experience, who has revealed humanity sore, to be redeemed ". 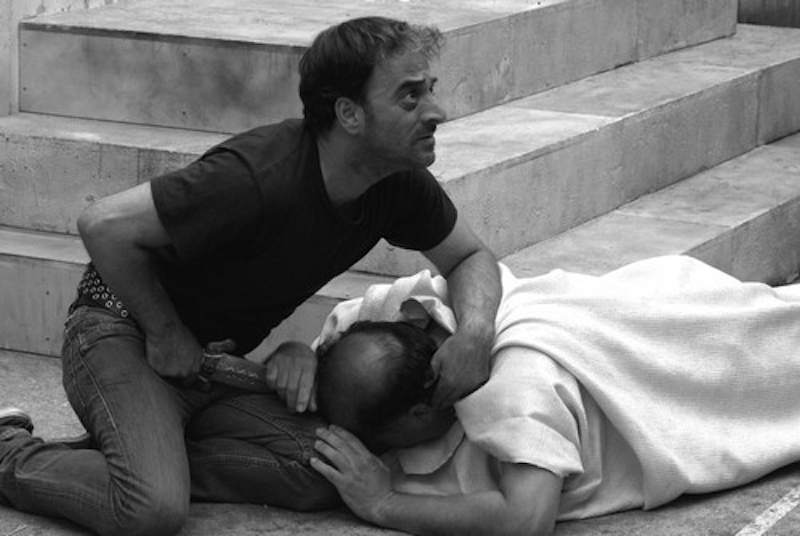 We are grateful to the brothers Taviani for this valuable rereading Shakespeare, and we are grateful to the Bardo, for that his immortal word, at the same time classic and new, always ready for the most extreme interpretations, all mise-en-scene more risky. And if you ask me what Shakespeare, I answer pure style: outside of time and inside every time. ALL AT SEA, ALL AT SEA shew… LE ZAMPE CHIARE! !